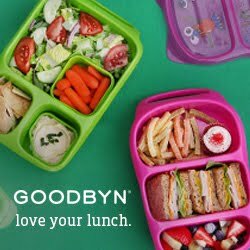 Mamabelly's Lunches With Love: "Joe and Sparky Go to School" - The perfect Back to School book! 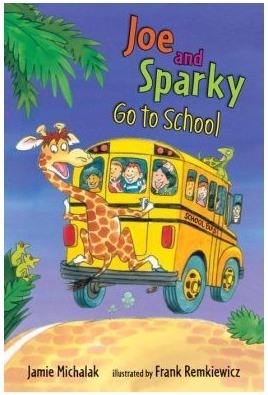 "Joe and Sparky Go to School" - The perfect Back to School book! Today's lunch is all about Joe and Sparky! My kids love the "Joe and Sparky" book series by Jamie Michalak. Her books are always funny and sweet. Her new book "Joe and Sparky Go to School" is funny, creative and a great read for all ages! And - of course- the perfect book to read before school starts or even during the year. Absolutely hilarious! Sparky the turtle may be cautious, but when the strange vehicle full of noisy short people pulls away from Safari World, he finds himself stuck on the bus’s roof just the same. Luckily his giraffe friend, Joe, is adventurous enough to take a running jump, too! When they arrive at school, they discover that there’s a lot to learn, like the fact that the restroom is full of little magic "ponds," that you’re supposed to count the peas, not eat them, and that the goal of the day seems to be to get a star. But just when Joe fears that he may have to go home starless, Sparky reminds him of all the ways that his loyal friend already shines. Readers will roll over laughing — and find lots to relate to — in this hilarious new adventure. and of course Joe and Sparky looking out through the broccoli trees. Joe is made out of rice, cheese and nori and Sparky is a turtle pick. The broccoli trees also have a few carrot flowers.